Fr. Jesús Morales Vela was born in Los Angeles, California on May 19, 1962 the son of Jesús Vela and Julieta Morales. He entered the Capuchin Order on August 15, 1991 at Santa Ynez, CA. He was ordained a Catholic priest on June 13, 1998 at St. Bede the Venerable Church in La Cañada-Flintridge, CA. Fr. 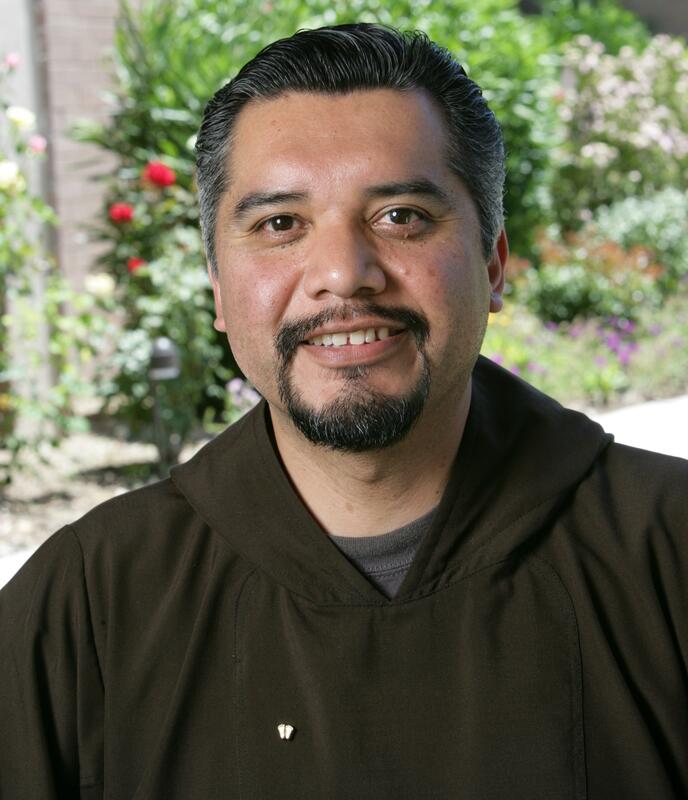 Jesús was an extraordinary Capuchin priest: the essence of kindness who radiated and shared joy and peace in a most Christlike fashion. He always demonstrated a loving zeal for the poorest of the poor. He served the people of God as a herald of hope and true instrument of peace. He lived the Gospel life with selfless dedication and heroic love. His mother, father and older brother Alfred have gone before him but he is survived by his brothers and sister: Juan, Alberto, Daniel, Isabel, Ernesto and Oscar. Viewing will be held at St. Lawrence of Brindisi Church, 10122 Compton Ave., Los Angeles starting from 4:00 pm on Monday June 4, 2018. A Rosary will be prayed at 7:00 pm that evening. Funeral Mass will be there at 11:00 am on Tuesday June 5, 2018. Mass of Christian Burial will be at Old Mission Santa Ines, 1760 Mission Drive, Solvang at 10:00 am on Wednesday June 6, 2018 followed by burial at San Lorenzo Friary, 1802 Sky Drive, Santa Ynez, CA. In lieu of flowers the family requests that you may consider making a donation in memory of Fr. Jesús Vela to Capuchin Franciscan Order, 1345 Cortez Ave., Burlingame, CA 94010 and St. Lawrence of Brindisi Church, 10122 Compton Ave., Los Angeles, CA 90002.